Folks, if you know me, you’ve heard this rant before. There is one fact that bothers me to death - the dearth of female artists in the Country Music Hall of Fame. I worked at the Hall of Fame and Museum as a tour guide right before I went to college. It's the place where my interest in country music shifted from a casual familiarity with the sounds of my home town (Nashville born and bred I am) to a more meaningful consideration of the people, history, and evolving styles of country music. On quieter days when there were few tourists, I would walk through the hushed Hall of Fame room and read the plaques for its members. 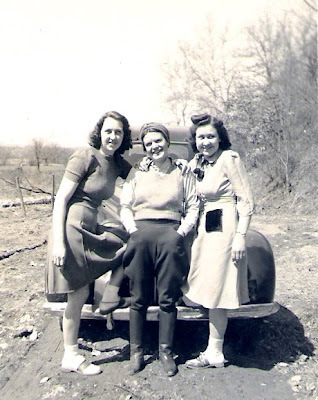 It dawned on me then how few women there were, at that time a very small number, Patsy Cline, Maybelle and Sarah Carter, Kitty Wells and Minnie Pearl may have been the only women members in the mid 1980's. Presently there are 14 female members out of a roster of 105, and two of those women are not artists, but businesswomen who promoted commercial country music. It still smarts to look at those numbers in black and white, I cannot accept that of all the great artists of Country Music history, only 13% are women. A long time ago I wrote a letter to Nick Tosches praising his book Country: The Twisted Roots of Rock and Roll, and asked him why there weren’t any female artists in his book. He wrote me a very respectful reply that concluded, “Write your own book.” While I have yet to do that, I have moved beyond whining about the Hall of Fame and its limitations and tried to address what I feel is a general gender bias that minimizes female artists contributions throughout music history. 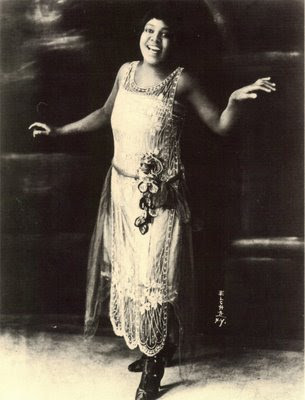 Another music writer whom I admire called the women of the classic blues and their music “the bygone finery of another era.” Bessie Smith, the "Empress of the Blues," sang “Give me a pigfoot and a bottle of beer …” and died in a car accident while on the grueling Deep South chitlin circuit. She deserves for her music to be better remembered and understood than just antique finery. It's powerful stuff. Sure, the records are scratchy, but that doesn’t keep people from loving Charlie Patton's music. You get my drift? I started playing records on the radio at WKCR while at Columbia University and continued with the Radio Thrift Shop on WFMU in the mid 1990's. When I started I just wanted to be a female version of the Hound, who played all kinds of greasy, scary, and great American Music, but I knew that I would always have to give more space to women artists great and small - the superstars and those who’d been passed over by the history writers and taste makers. Singers like Mildred Bailey, Sister Rosetta Tharpe, Memphis Minnie, Lilly May Ledford, Molly O’Day, Jean Shepard, Skeeter Davis, Melba Montgomery, Ola Belle Reed, and Connie Smith. This list could go on forever. I believe these now lesser known artists (some of whom were very commercially successful in their day) are a greatly significant part of the connective tissue of the music itself. They are the threads in the fabric, the nurturers, the caretakers, the teachers and the muses. Many artists had careers limited by family obligations, the lack of recording opportunities or commercial prospects, and social conventions. Even if they just made a record or two, why not remember them and honor their contributions? I could go on and on about this topic. It has been a rant of mine for a long time, and woe to the unsuspecting party guest or band member trapped with me on a long distance drive. I’ll save some for the next time we meet, but I'll give you folks a few things you might want to take a listen to. If you like them, pursue a little further. Go buy a record, or a download, and enjoy the music. My dad got a Hoagy Carmichael collection on 8 track tape and would play it every day as he drove us to school in his Pontiac Phoenix. I loved Mildred Bailey's soft delivery which seemed to swing effortlessly. From Tacoma, Washington, she gave a break to her brother Al Rinker and his singing partner Bing Crosby in the late 1920's, was a popular nightclub act and recording artist and after marrying jazz musician Red Norvo, was known as Mrs. Swing. Sister Rosetta Tharpe played and sang as confidently and joyfully as anyone could. Her music was a hybrid, gospel with prominent guitar solos and swing band accompaniment. There is such an authority in her presence, it isn't hard to be a believer when you're in her hands. by Sister Rosetta Tharpe, 1944. 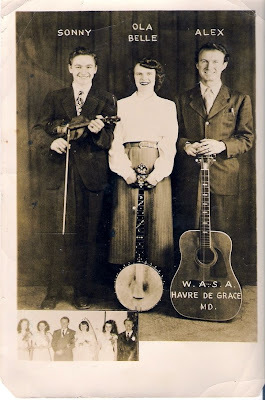 I don't know of any family group that made a more joyful racket than the Maddox Brothers and Rose. Rose was the soulful and sweet center who balanced the raucus hillbilly energy of her brothers. Perhaps the fact that her body of work is split between rough hewn recordings with her family and the more produced sides she made for Capitol in the 1950's, has made her hard to categorize. But she deserves recognition for being a strong female voice in the years when hillbilly and blues music were about to begat rock and roll. by The Maddox Brothers and Rose, 1947. Molly O'Day has been an endlessly fascinating artist for me. 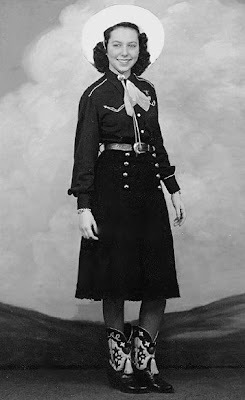 She was one of the first successful "front women" with her group the Cumberland Mountain Folks in the late 1940s, and made some great records including the first covers of Hank Williams material. After a nervous breakdown in the 1950s when her strong religious beliefs made her reconsider the life of a rising country star, she quit the music business and performed only as a gospel artist on regional radio. A favorite among her peers -- even Bill Monroe once asked her to favor him with a song -- she remains a touchstone artist for fans of old time country music. by Molly O' Day, 1949. How long can we wait until Jean Shepard goes to the Hall of Fame? Besides being a pioneering female voice starting in the early 1950's when she was barely out of her teens, she weathered the personal tragedy of the death of her Opry star husband, Hawkshaw Hawkins in the same plane crash that took the life of Patsy Cline in 1963. She is still to be found onstage at the Opry. Skeeter Davis is one of my favorite singers of all time. From the tragic end of the teen duo the Davis Sisters, when her best friend Betty Jack Davis was killed in a car accident, to her 1960s pop crossover hits, she was a singer of rare emotion. There is an edge to her voice, an urgency, something sharp and sweet. She was once married to the famous DJ Ralph Emery, who is now a member of that Hall of Fame I was talking about, but I'll tell you this, there was only one artist in that family, and we honor her here. Ola Belle Reed was the vibrant and grounded center of a musical family from North Carolina. In addition to being a gifted instrumentalist, Ola Belle wrote many songs and recorded them on her own record label, New River Records. 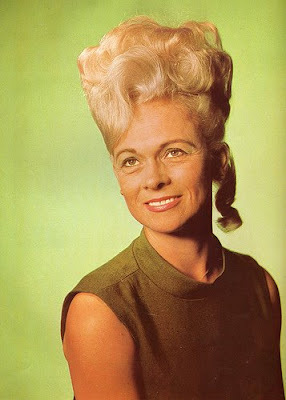 She became more widely known after she released two albums for Rounder Records in the early 1970s. What a fun read! Thank you. It's the same ol problem at the Rock and roll hall of fame too. Wow - I never heard Ola Belle Reed before - thank you for that. Great selections! I'm really excited to see a blog post from you here, as I love your work as a performer and DJ. One more name to consider: Charline Arthur. I'm no country expert, but my own experience as a folk blogger is that there are plenty of great female artists straddling the line between country and folk, from Rosalie Sorrels to Kim Richey, and Gillian Welch to Lucinda Williams, from the new school of old-timey neo-bluegrass to...well, you, Laura. But with that side of the country world so prominent on crossover radio, the difference between that hyrbidfolk and the undersung core of "true country" women gets hidden far too easily. Thanks for keeping these women in the limelight, and for continuing to keep the countryworld vibrant and welcoming for all, regardless of gender. Some great calls here Laura. And a few artists that I am not, to date, familiar with...but that I'm sure from the company that they keep here I will love. With some of them crossing over into blues territory, how about another great blues woman in Lucille Bogan? 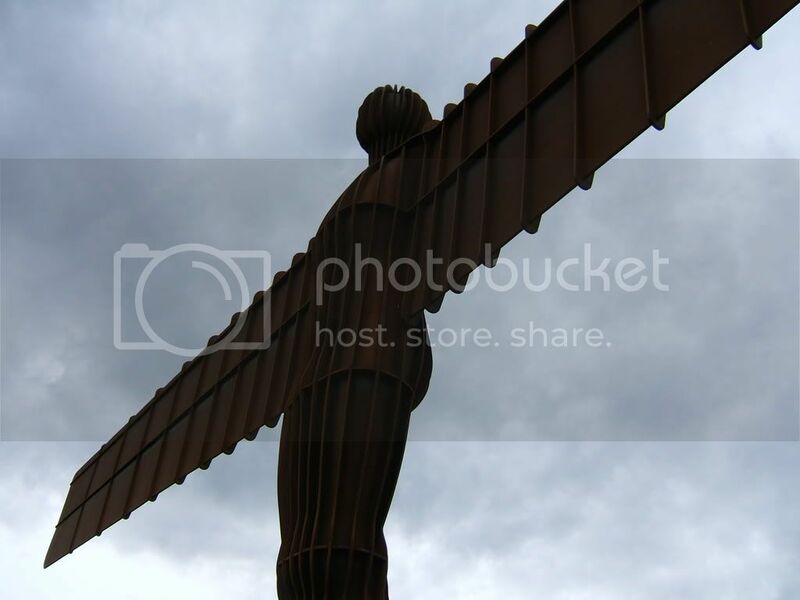 Much undersung, in you will pardon the pun. Great post, Laura -- thanks. And if I may add: It's a scandal that Rosetta Tharpe isn't in the rock and roll hall of fame. As early as 1941 she was recording distorted fuzz electric guitar solos that ripped. As a lead guitarist, she's something of a cross between Chuck Berry and Hubert Sumlin, often 10 to 15 years before the fact. Berry's most famous licks are variations on some of hers. A huge influence vocally too, not just on the soul tradition of Aretha and her daughters and sons, but on Elvis as well, as well as pioneering use of semi-improvising dual-lead-vocals with Marie Knight, that groups like the Band got to 3rd hand after learning the approach from soul groups. Gender discrimination in the music history books makes me embarrassed for the gatekeepers! Thanks again, and keep on keepin' on. Check out the West Virginia Music Hall of Fame at www.wvmusichalloffame.com. They're a pretty new organization, but they're doing a great job recognizing the musical contributions made by women in the Mountain State. Nice read! I completely agree with your view,that women musicians from the past and present aren't being paid the same honor that they should. I insist you post more of that music you like, and still, that reply of "Write you own damn book" has it's value. Then do it! You can write well enough, and who's to say you can't write it as well as any other (male) music writer or reviewer? Radio does that to women too, as well as books,films,you name it. They all are playing a role-an almost down play the role of women in music,which is kind of sad. Just watch Sister Rosetta Tharpe on youtube,and you'll see a woman play a guitar like any man could and better still! She works that guitar like she owns it! Jimi Hendrix wishes he could play like that. There's a history of put-downs of women rock artists too.Even Rolling Stone magazine wrote bad things about Janis Joplin,while she was still alive,and it really hurt her,and those words followed her around. She was pretty out-spoken,and maybe that's what men can't handle. I don't know what it is,that makes men feel that women are the less of a rocker than they are. I think people like Joan Jett and Chrissie Hynde(The Pretenders) are really great singers,and songwriters,and inspriational. I love the riot grrls,too. But they all don't get enough press.Still I think blogging about them is important, and reminding us that. Just keep at it,keep blogging,and reminding people that women can rock the house. (we do anyways right? )The men can have the man-space of the garage,but we own the house,man!!!! We feed the kids,we teach the kids,we make the food,etc. Not to sound like the 1840's here,but we women do really own the house! Just remember that next time,someone says you don't,you really do! And when there's a divorce,we own the house as well. Ha ha! Great post, Laura. I agree -- more women should be in the Hall of Fame! A bunch of musicians honor Ola Belle Reed each August in Lansing, North Carolina at the Ola Belle Reed Homecoming Festival. I know I am quite late but I fell in love with Jean Shepard's tune. Her voice reminds me of Kay Starr a bit, her energy of Wanda Jackson.